Not just your bog standard glass, now you can have a flashing coke glass which will add some strobing, flashing, or static lighting fun to your party or event! 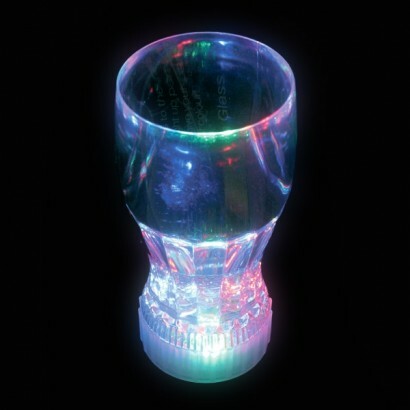 Light up your drinks in a kaleidoscopic array of sparkling colours with a cool flashing light up coke glass. Each glass uses 3 x AG13 button cell batteries which are included & fitted & are replaceable.